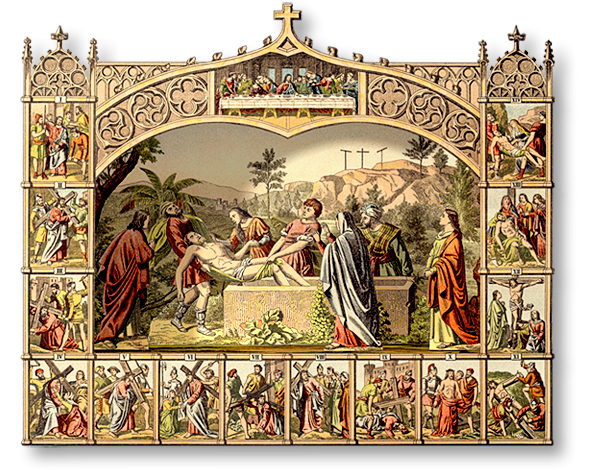 Jesus Is Laid in the Sepulcher amidst a Gothic tracery framing the Stations of the Cross. It's amazing how a paper construction can elicit such strong emotion. The Good Friday Diorama — Jesus is Laid in the Sepulcher — is a powerful testament to Christ's love and sacrifice. When the even was come, there came a rich man of Arimathe'a, named Joseph, who also himself was Jesus' disciple: he went to Pilate, and begged the body of Jesus. Then Pilate commanded the body to be delivered. And when Joseph had taken the body, he wrapped it in a clean linen cloth, and laid it in his own new tomb, which he had hewn out in the rock: and he rolled a great stone to the door of the sepulchre, and departed. And there was Mary Mag'dalene, and the other Mary, sitting over against the sepulcher. 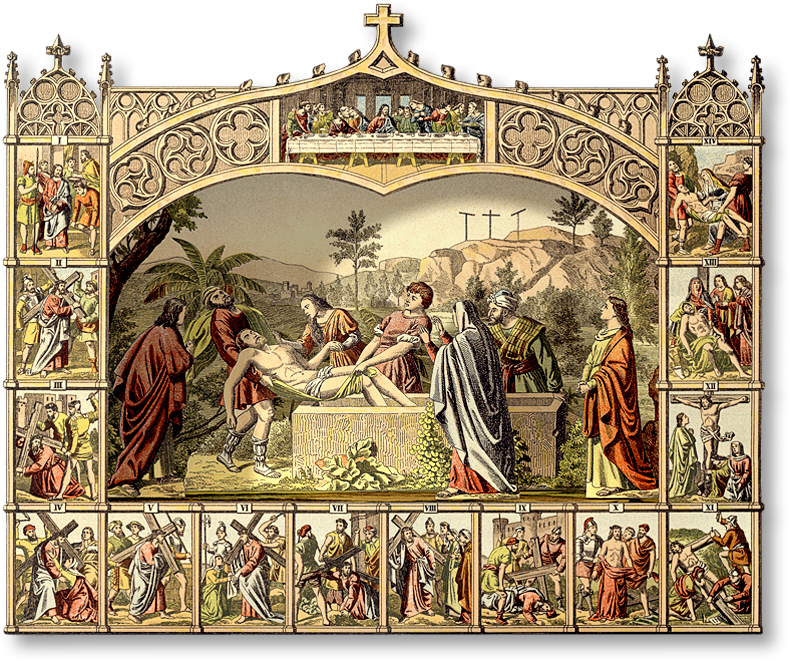 The Good Friday Diorama — based on a vintage German sheet in the Crèchemania Collection — captures the solemnity of the burial of Jesus. With the 14 Stations of the Cross framing the Good Friday Diorama, there's so much to contemplate. But my eyes always return to thefigure of Mary, wrapped in a cloak, hands lifted up in maternal anguish. It's a gesture I have seen my mother make—at my brother's grave. This Premium Download has been downsized to fit on 8.5 x 11 paper for easy printing. 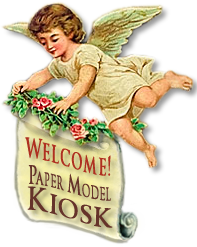 Cutting is simple, with only the Gothic embellishments of the Front requiring a bit of extra care, but when you're finished with its assembly, you'll want to create its accompanying piece, the Diorama of the Resurrection.